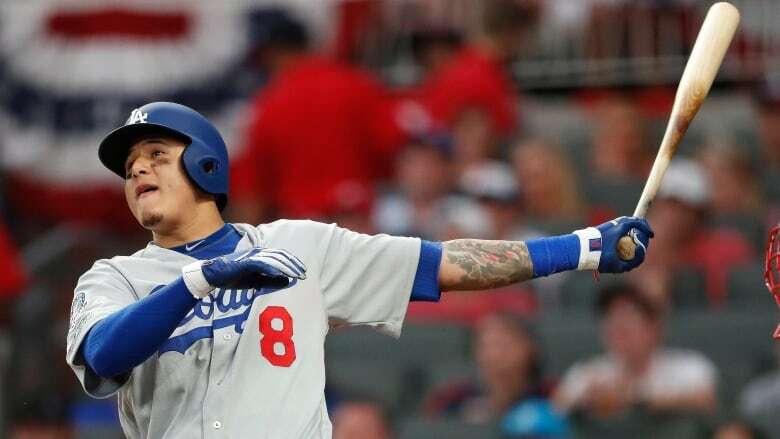 Manny Machado hit a three-run homer, David Freese came through again in the post-season and the Los Angeles Dodgers advanced to the NL Championship Series for the third year in a row, eliminating the Atlanta Braves with a 6-2 victory on Monday. Plenty of long balls. Another deep run in the post-season. But David Freese, the 2011 World Series MVP with St. Louis, came through again in the post-season. He delivered a pinch-hit single in the sixth off Brad Brach, driving home Cody Bellinger and Yasiel Puig for a 3-2 lead. Atlanta's return to the post-season for the first time since 2013 yielded a familiar result. Los Angeles also benefited from some shaky Atlanta defence during its go-ahead inning. Puig kept the sixth going with a popup down the line off Jonny Venters (0-1) that fell between second baseman Ozzie Albies and right fielder Nick Markakis.